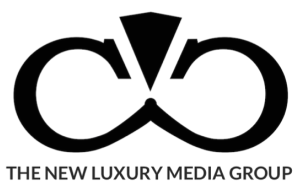 The New Luxury Media Group is a collection of social media groups, blogs, magazines and pages created within the last few years bringing about millions of consumers together looking for New Luxury Products. 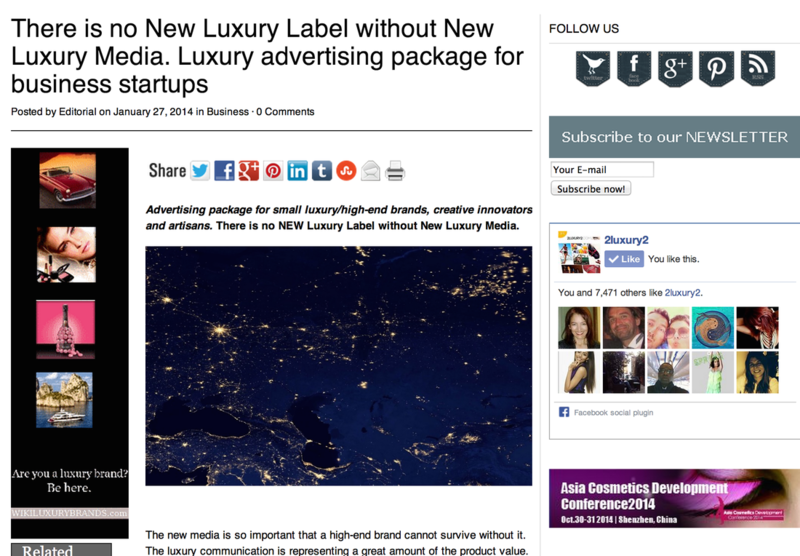 New Luxury Network International represents two important open consumer groups on Linkedin and Facebook. ASW Private Circles is a closed Subgroup of New Luxury International on Linkedin. This group is reserved for our ASW exclusive Private Circles. Artists have a major role to play in making this world a better place. Beauty, love, positive emotions will all be part of this change. Changing the world means changing ourselves first. Creativity and art will help change and bring happiness. 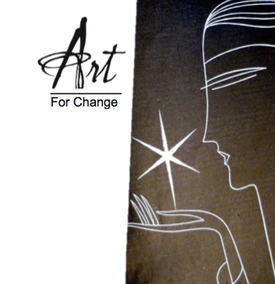 In Art for Change, artists are welcome to share their art. Art could make this world a better place for all of us. If perfume is the soul of flowers, art reflects the soul of human beings. Art is part of the New Luxury Movement. CREEZY! Former international top fashion model, gives us her vision of luxury, beauty and harmony and shares her Image of the World with the World. "Life is Beautiful..Follow me ... Let's have together a Better vision of the World to make this World a Better Place to Live". 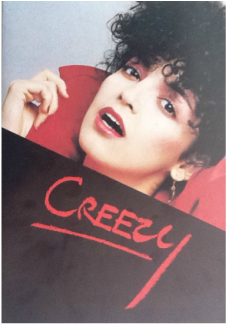 Creezy has an extensive network and a huge number of followers worldwide. Influencer and well connected, she is often followed by TV and media for special editorials. Flowers have Power, not only Natural Health Benefit Power for living beings but also Political Power for the countries they represent. Each country has its own flower. 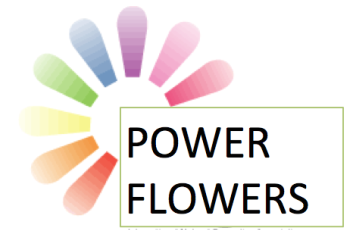 After the success of Les Routes du Parfum, please discover another success story: Power Flowers. 2LUXURY2 is an e-magazine for the demanding, high-end luxury consumer dedicated to excellence, well-being and luxury trends. The magazine includes luxury market analyses, events, trends and launches on the international market. Find inspiration, brands and best services: from antiquities and rare items, to the most adventurous boats & yachts, to high-class entertainment, luxury hotels and exclusive destinations, to amazing fashion items, prototypes and gadgets. Fragrance Belles Lettres is an homage to perfumes given by a famous blogger and influencer Felicia Hazard. She is making reviews of new perfumes and interviewing new perfumers. LES ROUTES DU PARFUM & THE PERFUME ROADS are two very important blogs developed to explain the importance of the roads in each part of the world. Each culture has its own heritage, each region of the world has its own way to use perfumes. Old document reading proves us that people made use of perfumes and managed to mix them since the extreme antiquity. In sacred texts, it is told very often of beneficial properties of balms, ointments and of fragrant oils. Since the beginning of the perfumery history, people created a multitude of objects destined to contain the most secret compositions. They preciously preserves the rarest essence mingling formulas. All nations are more or less interested in perfumes and have used it for people wellbeing. Based on history and anthropology research, these blogs (FR and UK) are also an invitation for travellers to discover fragrant gardens, flower fields and wellbeing destinations around the world. Mediterranean Gardening & Outdoor Living is a new generation magazine (printed and online) directed by Justin Wride an gardening expert and lifestyle influencer. He is showing the new path to reconnect with nature growing our own garden and living in harmony with nature. Traveling around the globe, the magazine also shares a new vision of tourism, looking for nature and wellbeing. Grow Your Own Fragrant Garden is an educational website and a very practical guide to learn how to reconnect with nature in growing your own healing garden and to use herbs and plants in your kitchen and in your own apothecary. The website is sharing garden and plants from every region of the world.